Kajeet has played it smart by offering all of the usual parental controls using sturdy, adult-style phones (similar to the discontinued Disney Mobile). The top dog is the popular LG Rumor ($169.99; available in blue, green and white). 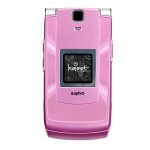 Kajeet also offers flip-phone models in the Sanyo Katana, which comes in a number of colors and is available new or refurbished ($59.99-$99.99). Other phones go as low as $39.99. Kajeet strictly operates on a pay-as-you-go basis—no contracts. It’ll cost 35 cents a day for unlimited use of the Kajeet Configurator and Navigator, customer service, Google Maps and personalized voicemail. From there it’s 5 cents per text, 10 cents per minute and 25 cents per multimedia message. All Kajeet phones are equipped with GPS. Manage parental controls any time using the Web-based Kajeet Configurator. From your browser you can approve and block numbers, set when phones can and can’t be used, and view all received and incoming calls. You can also add additional lines and use the Kajeet “wallet” to help kids manage the balances and features of their phones. Obviously, they’ll like the fact that they’re using a real phone. Lots of options and colors, too. The LG Rumors include MP3 players and a 1.3 megapixel camera. Katana models include speakerphone and Bluetooth. Of course, all come with text message options.